Venture Electronics has been so far busy creating earbuds and amplifiers, and they never crossed the line of creating sources from scratch. This was bound to change with the introduction of the Venture Electronics Odyssey, the first DAC/amp by the company that is specifically meant for usage in a portable environment. As most products by Venture Electronics, the Odyssey is affordable (if not downright cheap) but it offers way more than its low price would suggest. Were I to say what issues are there with portable devices nowadays, be they phones or tablets, one of the things that would immediately come to my mind is audio. Many people rely on their phone to access music, but the quality smartphones offer is far from being high more often than not. This brings me to report a conversation I had while in London earlier this month. I asked a person to read an article I wrote (the BGVP DMG review, to be precise) to tell me what he thought about it, especially from a linguistic perspective. So we came to the topic of audio quality and how sources matter, and he was surprised to see the Cayin N5ii I had with me – he found it unusual for someone to have a separate device to handle music reproduction nowadays. But that’s the entire point of DAPs – having something separate from your phone that only play music with the highest quality made possible by the portable form factor. The Venture Electronics Odyssey bridges these two worlds in a sense, as it brings better audio quality to smartphones and other devices – much like portable DAC/amps I reviewed in the past, just in a much more compact fashion. It allows one to keep all the advantages portable products offer (ease of use, intuitive user interfaces, streaming, advanced features, customisability, etc) while adding better sound quality. It’s a win-win situation from all perspectives. Disclaimer: Lee sent this unit to me as a free sample – thanks! Learn more on the Odyssey on VE’s website – they sell it at $10. The Odyssey came in a box with an adapter to use it with PCs and other devices with a USB Type-A port. The Venture Electronics Odyssey is really small. 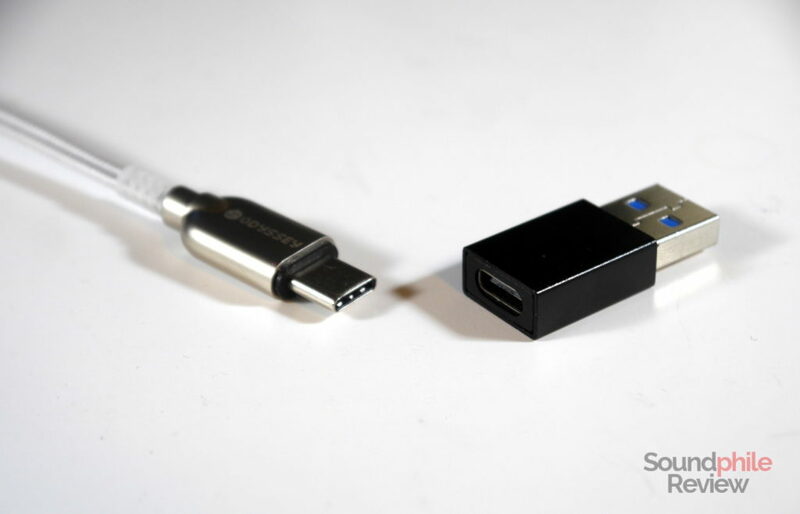 It is akin to dongles you see included in the boxes of newer smartphones: a USB Type-C connector on one side, a short (~8 cm) cable and a 3.5 mm connector on the other side. 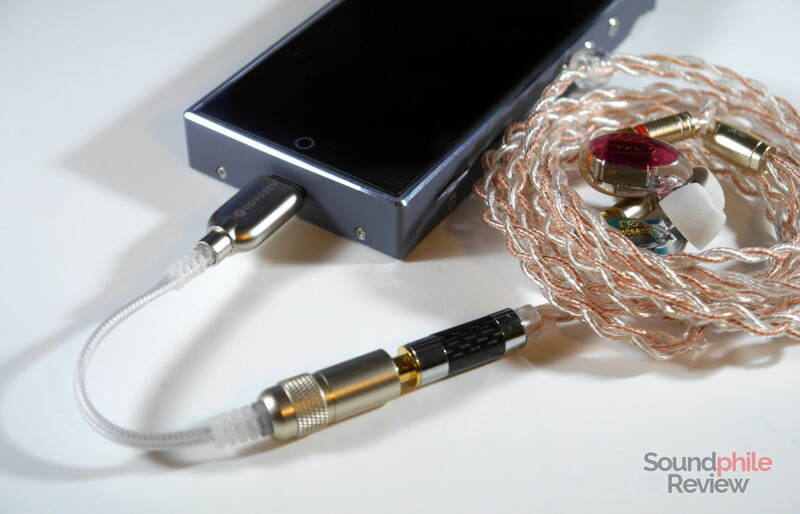 The enclosures are made of aluminium with machined stripes, while the cable is Oyaide 102SSC – the same used as the premium cable for the Zen 2.0 Omega Edition. There are silicone (or soft plastic) strain reliefs on both ends of the cable, so that excessive bending and strain is avoided. In terms of design, everything is simple – nothing fancy at all. In terms of build, the Venture Electronics Odyssey seems to be better built than its price would suggest. Materials are top-notch and appear durable, while assembly displays no apparent flaws – everything seems to be well-made and with good attention to detail. What I do like is the fact that it is made with mobile devices in mind, so it is small, light and with a shape that makes it easy for it to adapt to usage with mobile phones kept in pockets or similar scenarios; it makes using it especially easy and enjoyable even from a purely practical point of view. I tested the Venture Electronics Odyssey with my desktop PC, using Linux (KDE neon, based on Ubuntu 18.04, with kernel 4.19), and with a Honor 9 smartphone and a Cayin N5ii. I had no issues on any of those devices (except on the N5ii, which has notorious issues with USB audio). I tested the Venture Electronics Odyssey with both the USB Type-A adapter and native USB Type-C connection and it worked flawlessly in both modes. Not every Android device supports USB audio, though, so I recommend that you make sure that your device does. iOS devices, on the other hand, should work without issues, though I do not know the state of support of USB Type-C devices under iOS right now, especially on iPhones. What I find most interesting about the Venture Electronics Odyssey is the fact that it can support headphones with a microphone. The Odyssey does in fact work as an input device, too, so one can use headphones and earphones with a TRRS connector and an in-line microphone without issues. This is especially useful with smartphones, as one can completely bypass the phone’s internal audio processing to rely on the Odyssey alone – including the management of calls. 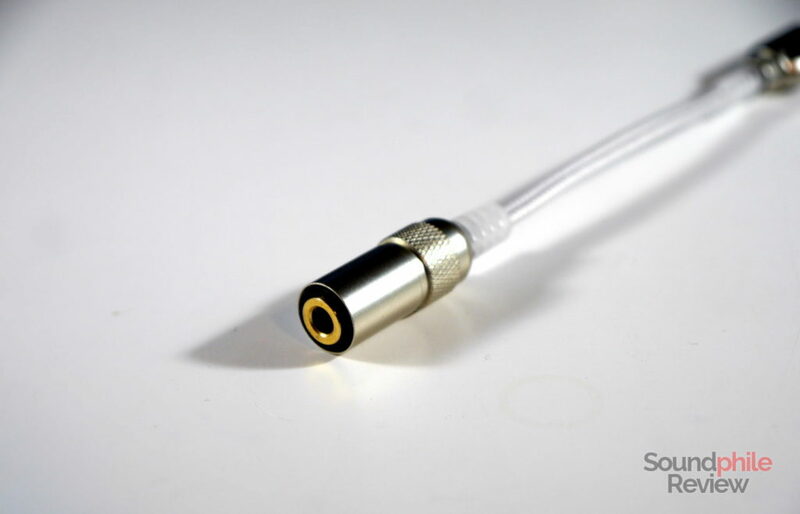 This can also be useful if you want a single jack on your PC – as many have two jacks, one for the microphone and the other for the headphones themselves. In-line remotes do not work, alas. Venture Electronic does not publish any specification. I tested the Venture Electronics Odyssey using the following headphones: BGVP DM6, BGVP DMG, 1More Triple Driver, HiFiMAN HE-560, Sennheiser HD 6XX, Meze 99 Classics. I used an iFi IEMatch with most headphones. It is never easy to spot differences in solid-state sources: they’re incredibly small and more of a matter of nuances, if they are present at all. I honestly cannot hear any specific features of the signature here; the Venture Electronics Odyssey appears as completely neutral to me. It is what most would describe as a “transparent source” – one that does not alter (colour) sound. Alas my electric source seems to be rather noisy, as it introduces a wide amount of hiss and buzz in the sources, and this stays true when using the Venture Electronics Odyssey with my PC: I could hear some background noise when using sensitive IEMs, and that required the IEMatch to stop. In terms of power, the Venture Electronics Odyssey is not powerful enough to correctly drive demanding headphones such as the HE-560 or the HD 6XX. When listening to Gaia Cuatro’s Hua Yongho with the HE-560, the lower mids and the lows are severely recessed, making the sound tinny. In overall volume the situation is not bad at all: when pushing the volume to 100% it gets reasonably loud, but it lacks the power to push the lower frequencies to acceptable levels. The Venture Electronics Odyssey is, after all, first and foremost made for portable devices such as smartphones and tablets, so it is no wonder that it is not enough to drive demanding headphones that are more suited to indoor environments. In its portable environment it is more than adequate; those looking for more power can look at products such as the RHA Dacamp L1, which is built specifically to drive higher-impedance headphones while away from one’s complete desktop setup. At $10, asking for more would be impossible. But the Venture Electronics Odyssey is actually good enough to be worth $50, so its price tag is actually much less than it should be. 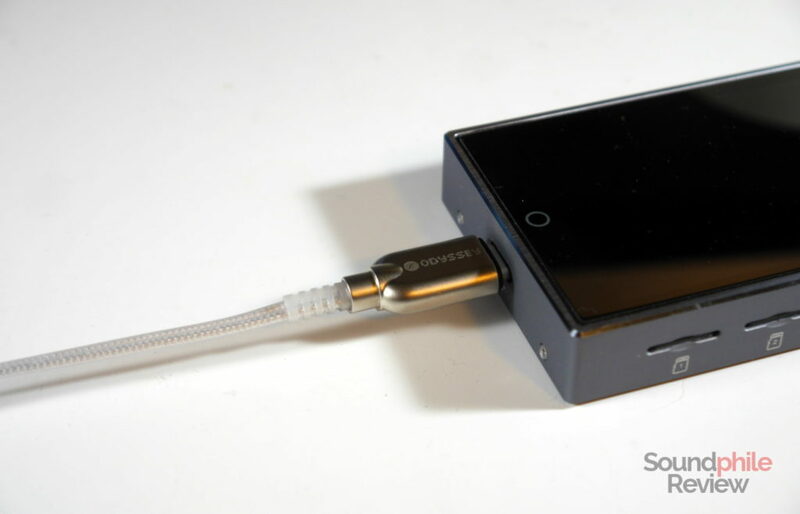 The fact is that portable DACs are almost always more expensive than that, ranging from ~$70 to hundreds of dollars, but they rarely offer much more than the Odyssey. One such example is the Zorloo ZuperDAC, which was sold at $70 – despite the price gap, there is very little difference between the two. One should not expect loads of power or exotic features from the Odyssey, but all the basics are covered and the device can be an effective replacement for more expensive portable DACs – provided you keep your expectations in check – or a good starting point in your audio journey. It sounds good and it is more than adequate to provide a good listening experience on the go with a wide variety of headphones. It is very faint. It is there, though, so it’s the classic thing that you can’t “unnotice” once you notice it. I don’t have the Hidizs Sonata, so I can’t compare the two, sorry.